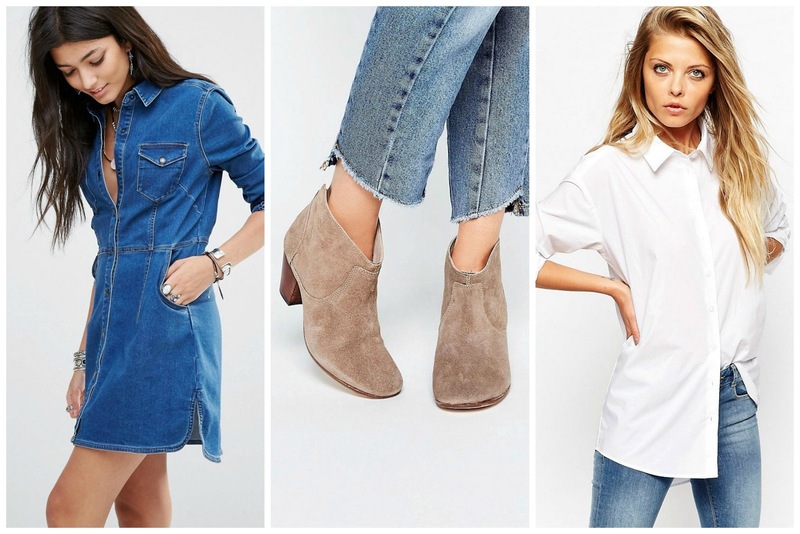 Transitional Wardrobe Staples With ASOS. | By Millie. I love going into Autumn, I can finally dust off my boots, get out the scarves and have fun with layering. As we're in September now, and the weather will no doubt start to cool down in the UK, I thought I would share with you a few pieces I love to style up when transitioning into cooler months. This season I feel denim is everywhere, in dress form, jacket form and of course your classic skinnies. I'm also loving the boho vibes, I think a floaty floral dress paired with some cute ankle boots and a jacket is a staple easy to wear look for this time of year. Let me know what you love to wear come Autumn time!